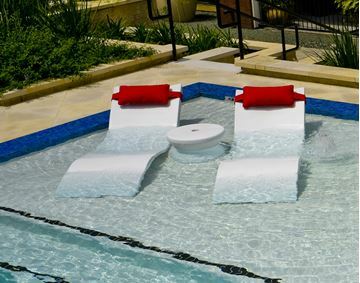 Our Signature Ledge Lounger Deep Chaise Lounge is an ideal way to relax on the pool deck or in the pool itself at upscale hotels, resorts, or cruise ships. 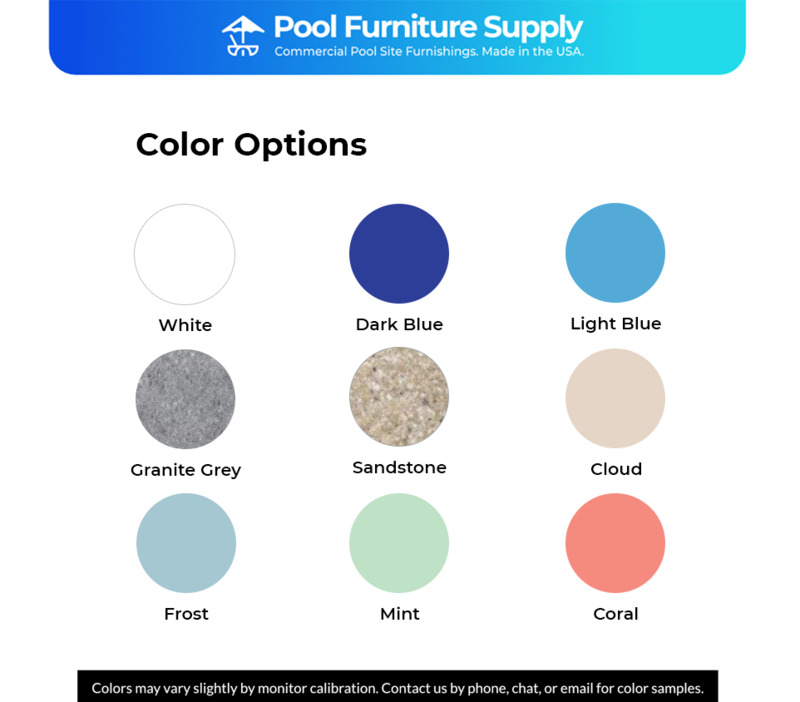 Made from UV16 rated resin, this chaise lounge will ensure 16,000 hours of direct sunlight, while also withstanding the damaging effects of pool chemicals, chlorine, sand, or saltwater. The empty weight of this in-water chaise lounge is 60 lbs, however, the lounge can be filled to a weight of 270 lbs. to prevent floating or unnecessary movement on the pool ledge. 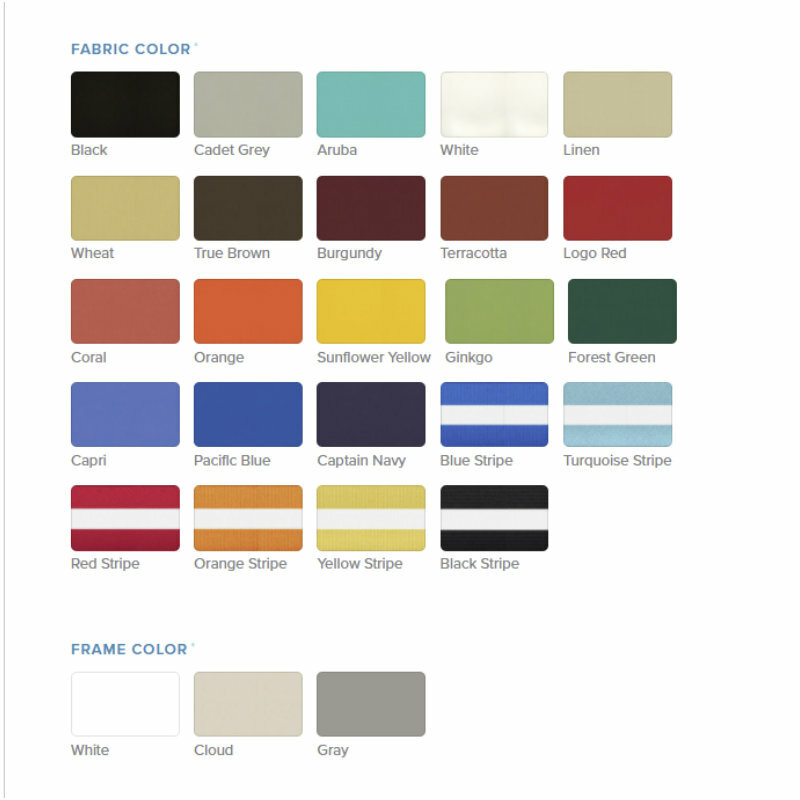 Choose from the several beautiful color options to compliment your patio decor. Consider a headrest pillow or a full cushion for even more relaxation. There is also an attached shade option that will block the sun from your eyes. The shade also contains a smartphone or tablet holder built in, so you can safely store or access your devices while you lounge. 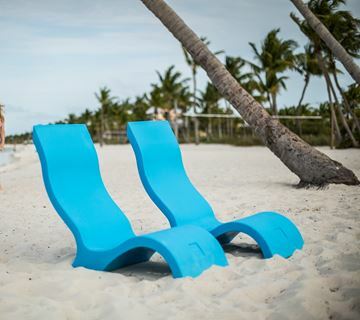 This waterproof chaise lounge is made in America and is support with a 2-year commercial warranty. • Can sit in 10"-15" inches of water. • Empty Weight: 60 lbs. Full Weight: 270 lbs. • Durable UV16 rated plastic polymer. 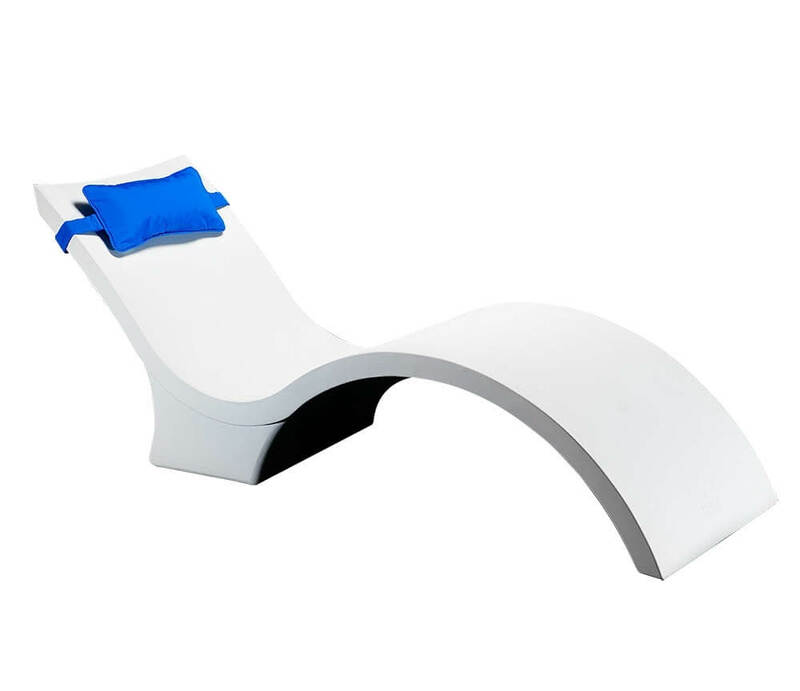 Ledge Lounger Signature In-Pool Chaise Lounge - 34 lbs. 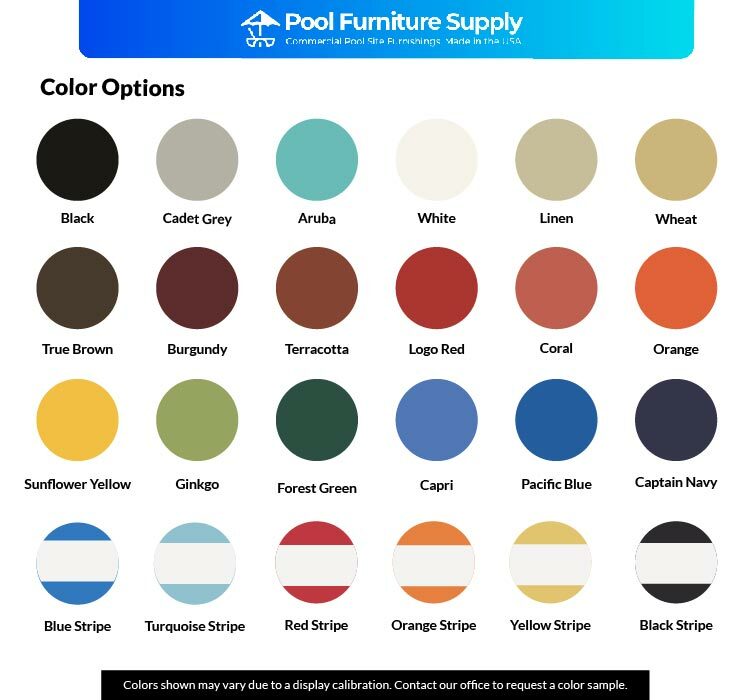 Ledge Lounger Signature In-Pool Patio Chair - 33 lbs.